Well…the retro gaming project was also unfortunately put on hold, so much for the schedule. 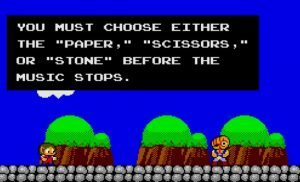 Before going on hold, I did manage to write up some notes for Alex Kidd. Once again, didn’t play too much of it to experience all it had to offer, but even if I picked up one learning point it was worth it! On first impression Alex Kidd in Miracle World comes off as a super basic platformer. 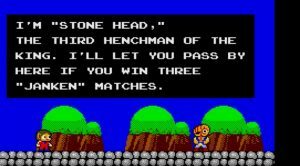 However, even though I only managed to get past the first boss, Alex Kidd offered a whole bunch of richness that belied these first impressions. The most noticeable was the introduction of the in-game power-up purchases. 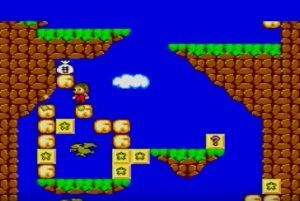 Unlike Mario’s coins which simply gave you an end of level score boost, Alex Kidd’s money bags would allow you to purchase power-ups at the end of the first level. This drove several dynamic behaviours. 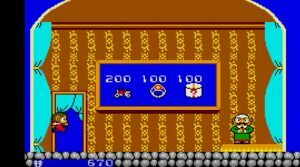 Naturally, it forces the player to explore the level – but this time there was far more sense of purpose than simply coins for the sake of it, and without any “tangible” reward. 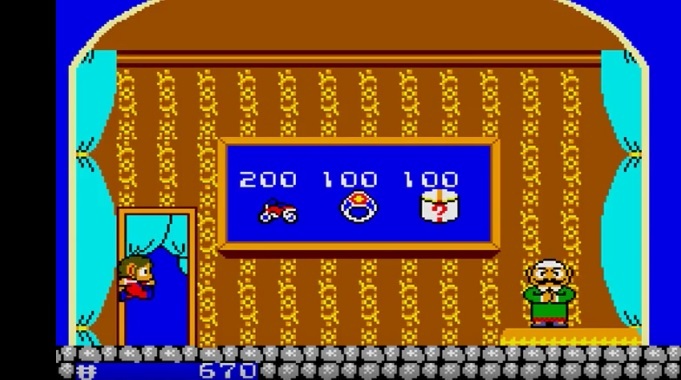 And the desire to collect as many moneybags as possible was driven by the desire to get as many powerups as possible during the end of level visit to the shop. Given the lack of an in-game countdown/countup clock, this meant that the player could, in the majority of cases, spend some time strategising their approach to bashing the rocks to maximise the number of moneybags collected. Another interesting mechanic, which I’m not sure I saw in the games played to date, was what I refer to as “multi-mode” levels. 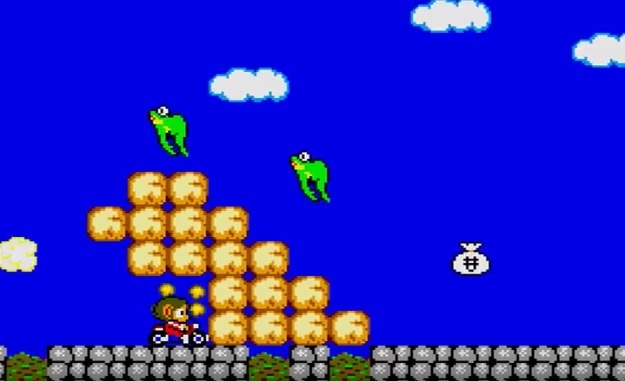 In the second level, assuming you purchased a pedal-copter, you could scoot through the level quite easily in that vehicle (eg it let you smash through bricks instead of having to jump them). However, if you crashed into an obstacle / enemy, you’d lose it and you’d drop down into a water level – forcing you to complete the level by swimming. This made for a more interesting game-play instead of just dying and starting the level again. The final mechanic I thought was pretty cool was the first boss fight. 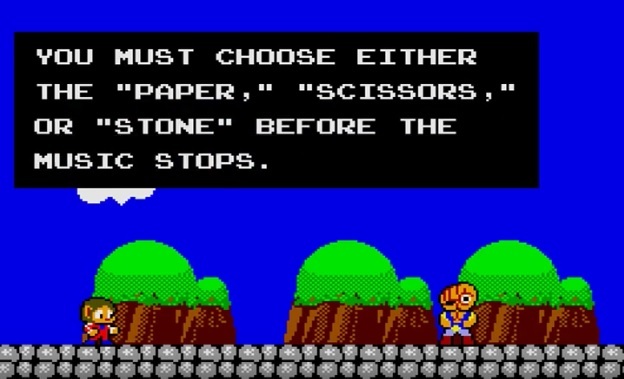 Instead of having to fight or shoot the boss, you had to play a game of Janken / Rock-Paper-Scissors. Something different and a nice change from what was expected.